Environmental Awareness Training course will help raise awareness and benifit your company. The environment has arrived! It is no longer just the air we breath or the world we live in, it has become a requirement for businesses to address the environment in order to maintain customers and exist [thrive] in an ever more critical global economy.There is an ever-increasing amount of new environment related legislation and protocols all of which aids the global environment for our fellow citizens. Environmental management systems can assist an organisation to meet its increasingly heavy burden of responsibility for the future condition of the world environment. In many cases, the introduction of an environmental management system can aid cost savings and reduce our environmental liability.There are a number of standards available, around which we can model our Environmental Management System, or EMS. 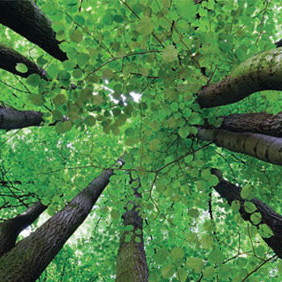 This includes ISO14001 part of the ISO14000 series of standards providing not only a specification but guidance and advice on a wide range of environmental issues including auditing, labelling, life-cycle assessment etc.At the European level we have EMAS or the Eco-Management and Audit Scheme. This was introduced by a European Union Council regulation (No.1836/93), requiring implementation in all European Union Member States. EMAS was formally introduced in the United Kingdom in April 1995. Although the scheme itself is mandatory in all EU Countries it is, at present, a voluntary scheme for individual companies who must be within the industrial sector. It is intended to provide recognition for those companies who have established a programme of environmental action designed to protect, and to continuously improve, their environmental performance.Waste of resources and creation of pollution are normally indications of areas for significant improvement. All of the EMS standards stress the need for continuous, never ending, improvement in striving to protect the environment, not only for ourselves but for future generations to come. It may also concern other groups of people, particularly your suppliers and sub-contractors, who may fear that in your drive to improve environmental performance you may cast a critical eye on their environmental achievements. We are able to provide accredited training and qualifications for those nominated to lead environmental issues within the organisation as well as environmental awareness training for employees, line managers, senior executives and internal auditors.